We have plenty of patience and experience in photographing children and pets and we don't stop there. We shoot high school senior pictures, headshots for business, weddings and much more. 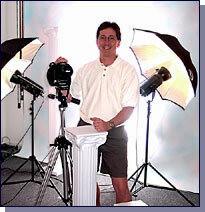 It's our assurance to our customers that each portrait meets our high standard for heirloom-quality photography. Portraits Now stresses quality in every aspect - from posing and composition to backgrounds, lighting and props. In addition, our portrait experts are trained to help you select the right photos - with service taking precedence over sales. Our aim is to capture genuine smiles from lasting customers. It's what capturing memories is all about and it sets us a notch above the expected and makes our customers feel like they got more than they expected when they leave. You can contact Portraits Now at 407-656-5892, info@portraitsocoee.com.